Hubby took this photo of another driver at a red light. 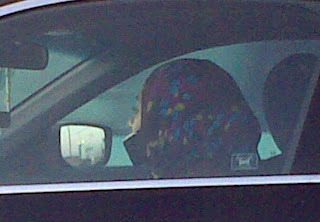 Take a really close look: she's got her CELL PHONE tucked into the scarf/wrap. I guess that's one way to talk "Hands Free."